Get a premium transportation device without sacrificing style. A Golden Technologies wheelchair has a unique two-tone shroud design that allows you to travel to your destination while looking great. Stay comfortable in a luxurious full-sized captain’s chair in charcoal grey and enjoy a plethora of fun features such as flip-back armrests, an elevating footplate legrest, and a reclining back. 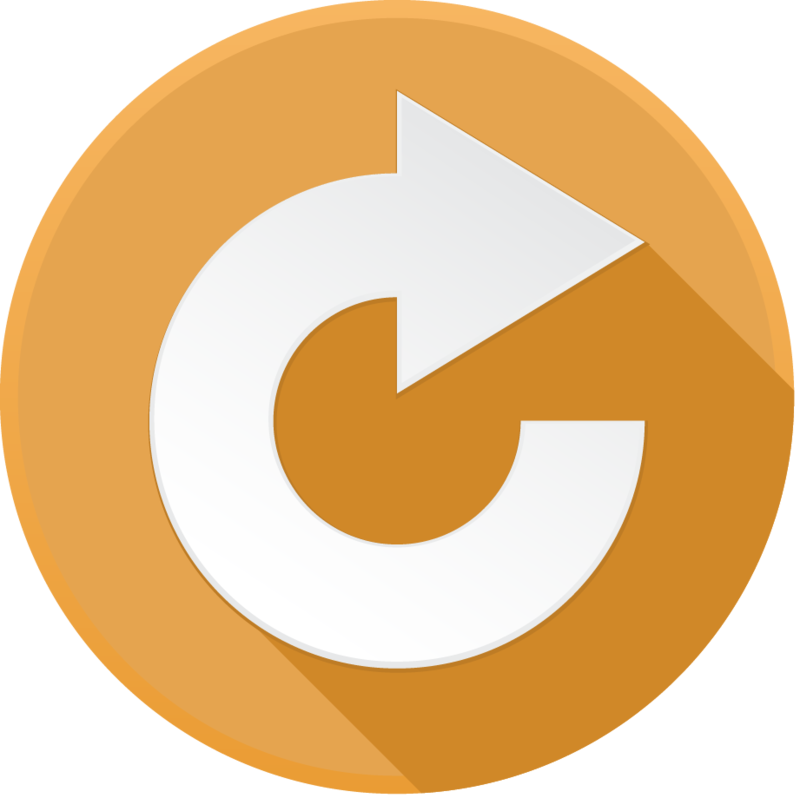 You can also adjust it to your preferences using easy-to-use controls and drive it with a joystick. A front-wheel drive with in-line motors makes completing turns and maneuvering in tight spaces simple. The tires won’t scuff the floors, are durable enough to travel on carpet, and feature eye-catching silver rims. Achieve speeds up to 3.5 miles per hour to complete tasks with ease. 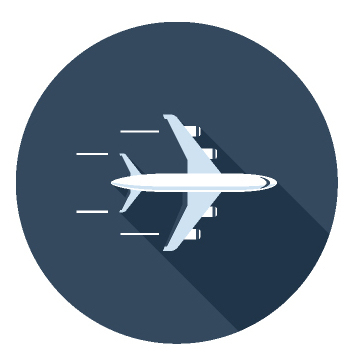 With a driving range of 16.5 miles, you can go to several destinations without worrying about running out of power. 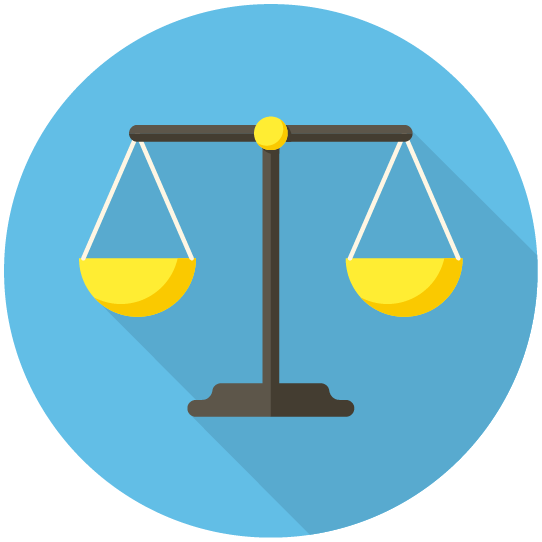 Batteries are included and an off-board charger makes it convenient to keep them filled with juice. 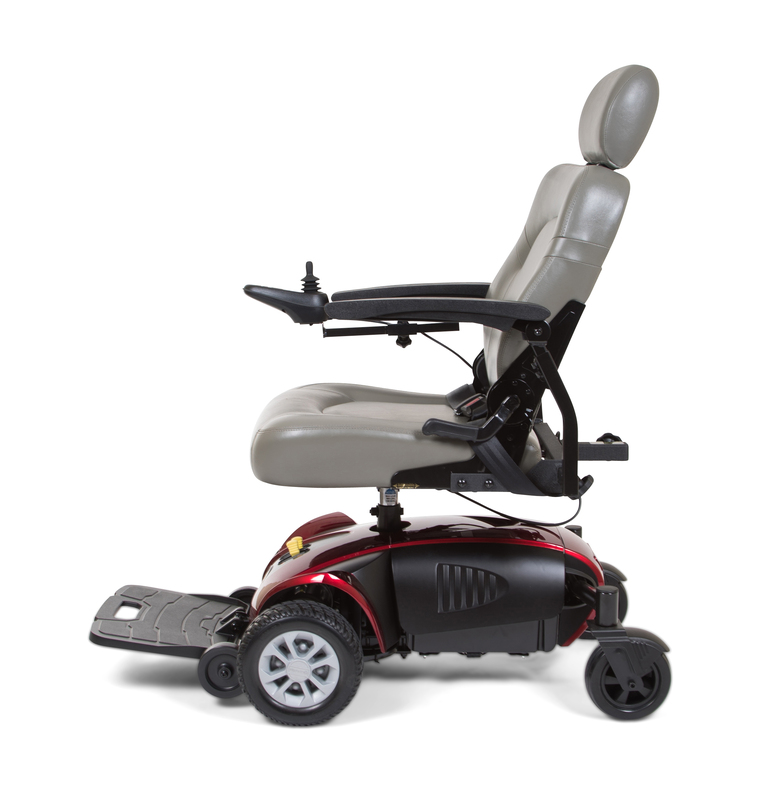 This electric wheelchair is available in a metallic red color, which makes it stand out from models constructed without an emphasis on design. The Alante brand name continues to mean a good value, high quality and style with the all-new Alante Sport. Featuring a fun, unique two-tone shroud design, the Alante Sport will get you where you need to go in style. 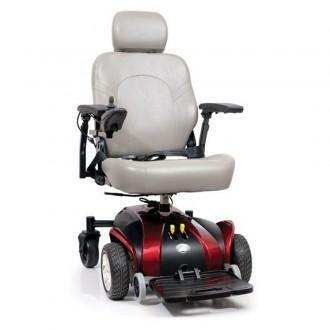 Featuring a full-size captain’s seat, this power chair offers a 5 year warranty on the frame, and 13 months on the drive train and electronics, to give you the confidence that the Alante Sport will take you wherever you need to go. 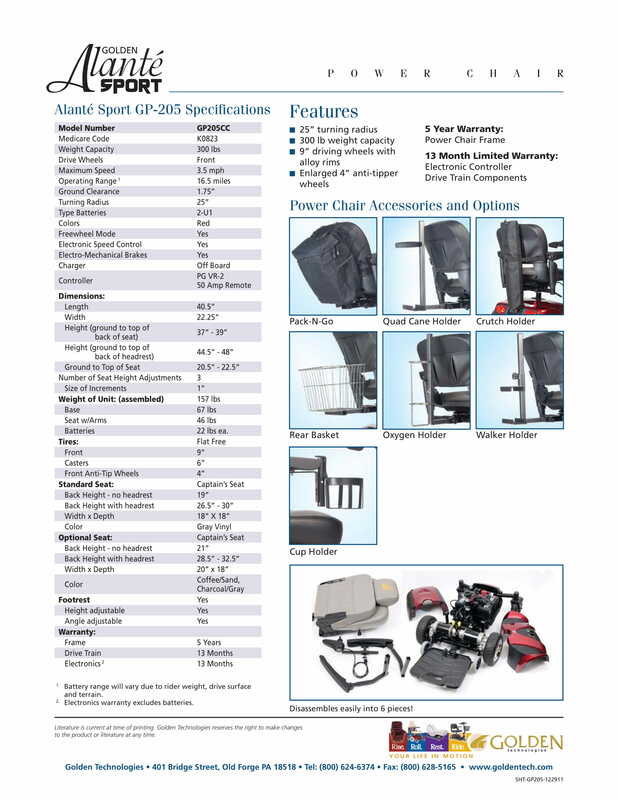 Golden Technologies: Alante Sport GP205F Power Chair has a rating of 4.8 stars based on 10 reviews. 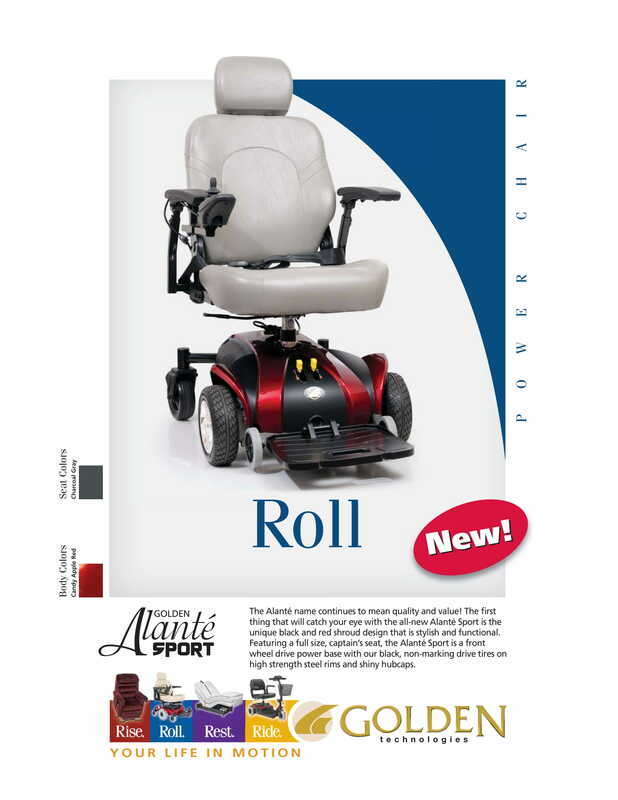 Why Golden: Alante Sport GP205F Power Chair? The Alante brand name continues to mean a high quality product with good value and style. Featuring a fun unique two-tone shroud design, the Alante Sport will get you where you need to go in style. 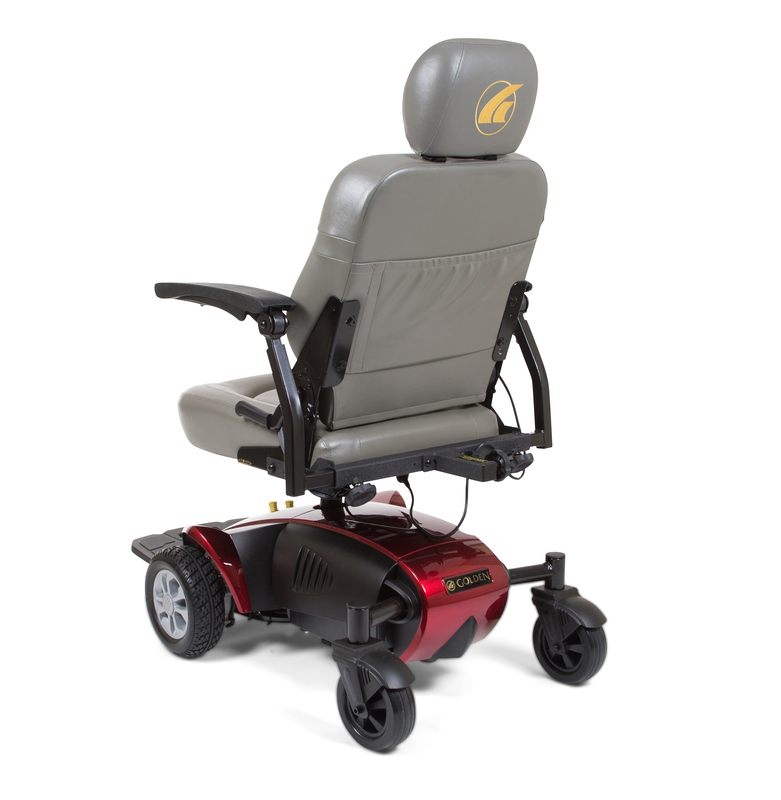 Featuring a full-size captain’s seat, this power chair offers a 5 year warranty on the frame, and 13 months on the drive train and electronics, to give you the confidence that the Alante Sport will take you wherever you need to go.